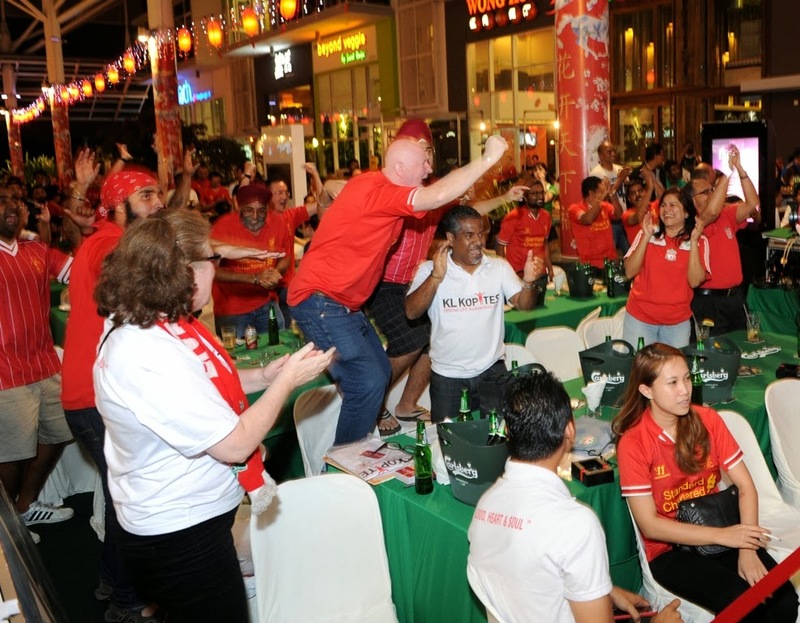 Fresh from the CNY holidays, on a Saturday evening, Carlsberg Malaysia threw a BPL viewing party where the BPL giants, Liverpool and Arsenal go head to head with each other. 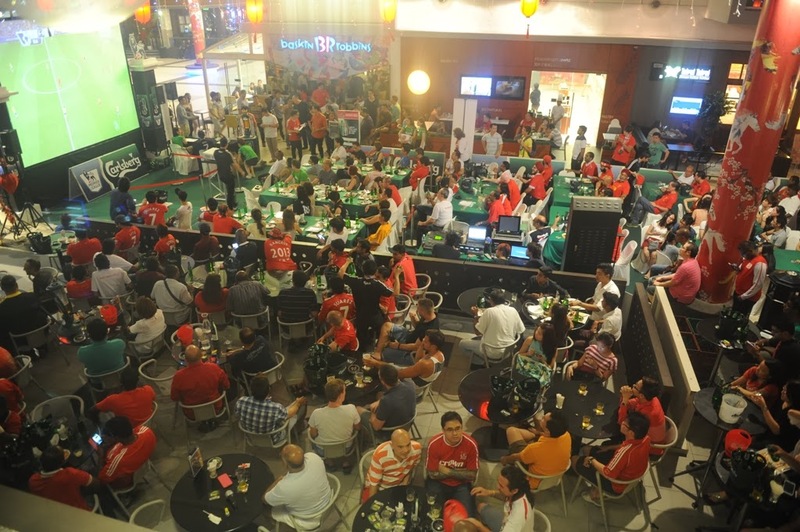 The viewing party was held at Movida in Kota Damansara where on that occasion, they launched their 'Price of Passion 2' challenge as well to enable fans the opportunity to have a totally rewarding VIP experience of which they will be able to watch their favorite team in a live match all the way in UK later this season. 'Price of Passion 1' winner, Low Kah Wai related his experience on his all-expenses-paid trip for 2 to watch his favorite BPL team, the Gunners, in action at Old Trafford against Manchester United. He said,"It was truly an awesome experience. We were picked up by a friendly Carlsberg brand ambassador at the airport, chauffeured to a trendy hotel in the city and served meals fit for football legends. Being escorted every step of the way made us feel like stars or Hollywood celebrities, it was an experience fit for a VIP. The challenge that I took on for my favorite team was well worth it and Carlsberg made it all possible." Besides the 'Price of Passion 2', there were also exclusive signed Arsenal and Liverpool merchandise being distributed where fans participated and won. 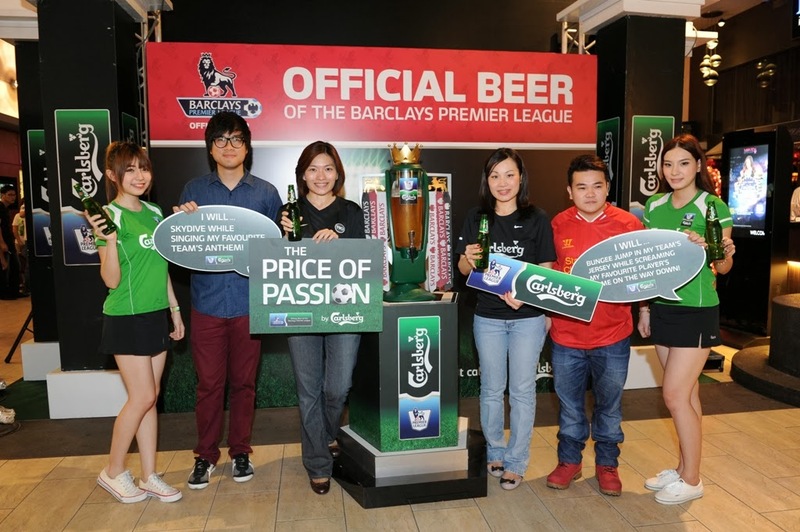 Juliet Yap, Marketing Director of Carlsberg Malaysia, said,"As the official beer of the Premier League, we are privileged to have the rights, access and network that allow us to bring unique experiences to Malaysian fans." "'Price of Passion' is one way and we will continue to bring Carlsberg and football lovers more memorable and rewarding moments. Our position as the BPL's official beer allows us to engage with our consumers and share their passion for the beautiful game." As for the game between Liverpool vs Arsenal, it quickly shot off into an exhilarating whitewashed match. LOL. Just within 20 minutes into the game, Liverpool was already leading Arsenal 4 to nothing! The rest of the match merely sees Arsenal's futile effort in trying to get through Liverpool's defense as they slowed down the pace by playing defensive in maintaining their lead. The game ended with Liverpool scoring 5 goals and Arsenal having 1 on a penalty kick. For more info on Carlsberg's 'Price of Passion 2' contest, visit their Facebook page at www.facebook.com/Carlsberg.